Are you looking for a unique or a historic venue for hire? We recommend you to consider one of 60366 venues available in our catalogue. Downing College sits amidst 20 acres of lawns and trees, yet it is within half a mile of the historic centre of Cambridge. The buildings date back to the beginning of the 19th century and are predominantly neo-classical in style conveying a sense of elegance and spaciousness. 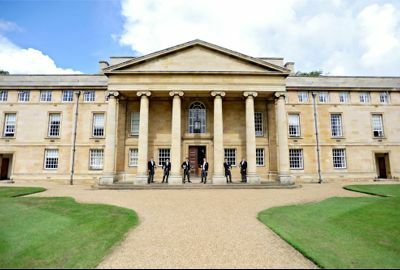 Downing College offers a flexible venue with facilities suitable for conferences, meetings, Weddings, Gala Dinners and Private Dining. We also provide accommodation to suit a range of budgets. 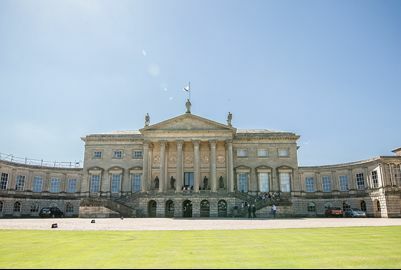 Downing College is an idyllic venue for your Wedding day. With a combination of beautiful architecture, tranquil gardens and landscaping, our wedding couples can relax and enjoy their day knowing they are in safe and experienced hands. The Howard Building offers a classical and elegant venue for your Civil Ceremony. The Assembly Room, which is situated on the first floor, is a spacious room with decorative scrolls, an abundance of natural light and a balcony overlooking the West Lodge Garden. Situated on the ground floor is the Drawing Room with patio doors opening out on to the West Lodge Garden. An ideal area for a drinks reception and photographs following your ceremony. Couples have the opportunity to enjoy their Wedding Breakfast in our stunning neo-classical College Hall. Seating up to 168 guests, you can dine in a beautiful, vibrant and warm room filled with rich character. After your four course Wedding Breakfast is served, we invite our guests to then enjoy a drinks reception in the Senior Combination Room and the Fellows Garden to further unwind before the Hall is transformed into an evening entertainment venue. 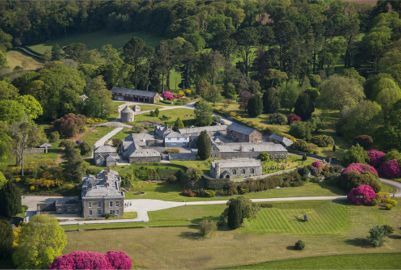 Boconnoc is a country estate in South East Cornwall tucked down two miles of private roads. 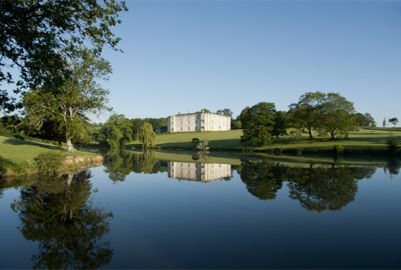 The main house and grounds are available to hire for anything from a candle-lit dinner for two, to a house party for 18 guests or a wedding or party for up to 240 guests. We also have self-catering holiday cottages. Boconnoc is a little slice of heaven in Cornwall where you have the freedom to create whatever you have always imagined for your wedding day, whether in the main house, Stable Yard or around the estate. Your drinks reception can be on the lawns in front of the house or in the Drawing Room, 100 can be seated for your wedding breakfast, or 240 with an extension marquee. Or a marquee can be put up on the lawns or on another site on the estate. There is a civil ceremony room in the Stable Yard, an outdoor Humanist Ceremony space in a beautiful stone swimming pool built in 1804 and a church next to the lake. 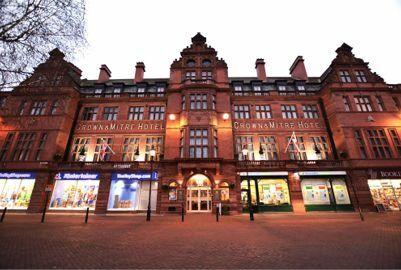 The Crown and Mitre Hotel, Carlisle has been the chosen venue for countless celebrations over the years. From weddings, christenings, buffets, school proms, cocktail receptions and dinner dances to boxing shows and exhibitions, we have the facilities to cater for your event. Our Conference and Banqueting team are always happy to answer your queries and offer advice to ensure that your event meets and exceeds your expectations. The Crown and Mitre Hotel, Carlisle is now licensed for civil ceremonies. We have a variety of rooms to cater for weddings of up to 400 guests. Room hire rates start from £100.00 including VAT. This includes a private interview room and flowers for the ceremony room. When you decide to hold a wedding at the Crown and Mitre Hotel you can be sure of our full attention from day one, from just looking around the venue to discussing details with our Wedding Coordinator, to cutting the cake and until the last guest says goodbye. Whether you are looking for a sit- down meal or a wedding buffet, a disco or a ceilidh, we offer a range of inclusive wedding packages to suit all tastes and budgets or we can tailor make a package to your own requirements. Inglewood House and Spa was voted the Romantic Venue of the Year 2017 at the Scottish Wedding Awards. • Our aim is to create your perfect day! We know that every happy couple wants their wedding day to be unique; present the wow factor to be remembered for a lifetime and become the legends who threw that unforgettable party. At The Oakley Court, you can have all of that and much more. You have a magnificent country house hotel with a cosy collection of bedrooms to indulge the before and after, plenty of spaces to host the ceremony and 33 acres of spectacular grounds to plan a show-stopping reception. Your wedding will be like no other, beautiful, intimate and enchanting – our magical surroundings with a wealth of historic character and elegant style will help with that. We provide the luxury, make sure the photographer has the camera and together we will unveil a scene of bespoke natural beauty – unspoilt, tranquil and blissfully remote all year round. 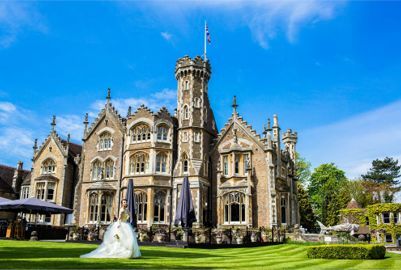 Our landscape will create an enchanting backdrop for all those special moments captured on camera that will form the memories of your perfect wedding day at The Oakley Court. Whether it’s an intimate wedding, a large wedding reception or the civil wedding ceremony, we pride ourselves on providing the perfect wedding venue in Somerset. We understand that every wedding is different. What doesn’t change is the amount of planning that goes into a successful wedding day. Our experienced staff are here to help. We’ll get involved from the initial planning stages right through to the big day itself. Our aim is to make your wedding day as special as it can be while alleviating some of the stresses along the way. Civil wedding ceremonies are held in the Garden Room. This light and airy room lends itself perfectly to civil wedding ceremonies. For smaller wedding parties, It can quickly be turned around to become a fantastic wedding breakfast venue for up to 40 guests. After your civil wedding ceremony, you and your guests can enjoy reception drinks in our secluded Walled Garden or Garden Bar. Larger parties of up to 90 can make their way to The Ivory Suite which has its own bar – The Artisan Bar. For evening receptions, the two rooms (which are interconnected) can accommodate upto 150 guests. Whether you’re looking for an elegant grand reception or a serene civil ceremony our remarkable wedding venues and welcoming associates will ensure that your day is a resounding success. With over 50 hotels throughout the UK including 10 stunning Hotel & Country Clubs you’ll be sure to find your perfect wedding hotel. Guidance every step of the way: Marriott Certified Wedding Coordinators can help you determine an overall vision for your wedding and help you execute each detail. A range of offers to suit every need: From civil ceremonies and partnerships to vow renewals, small intimate occasions to large extravagant receptions for family and friends, we provide bespoke packages and offers to suit every need. Find your perfect venue at a Marriott Wedding Open Day: Visit one of the Wedding Open Days being held at Marriott hotels across the UK. Mixing history and modernity, from an Italian renaissance building dating back to 1872 comes our newest offering, King Street Townhouse. A desirable and versatile wedding venue that's able to accommodate anything from an intimate gathering for close friends and family, to an extravagant wedding breakfast for 100 and reception for 150 guests on the 6th Floor and heated South Terrace which offers incomparable views over Manchester. Within this space both the large and small hubs can be reserved for intimate ceremonies and private dining. The beauty of Coastal Tents is the flexibility, you can style them just as you wish, whether you are looking for that laid back festival feel or a more elegant and stylish affair. The Tipis are made out of solid wooden poles grown in the cold forests of Sweden and a light tan-coloured canvas. They provide you with shade on a hot summers day or a warm and cosy atmosphere (with real log fires!) on a cold winters eve. The translucent sailcloth tent allows natural light to enhance daylight hours and glows brilliantly when lit for the evening. One of the lovely features of these tents is the panoramic sidewalls. The walls can be easily rolled up (or down) to suit your needs allowing you and your guests to enjoy your chosen view in comfort and style. 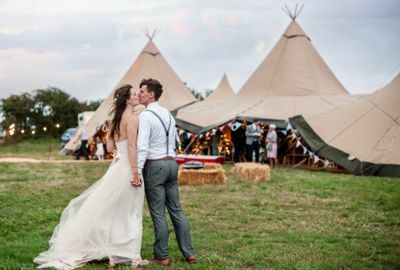 Coastal Tents was founded by a husband and wife team who had a tipi wedding. They have over 7 years of experience working in the events industry ranging from Royal banquets to major sporting events. They are truly passionate about creating your perfect wedding scene and will give you a personal service to make sure your event is everything you dreamed of. They employ and work with local people and businesses, meaning they have an excellent knowledge of the area and industry links which they will share with you. 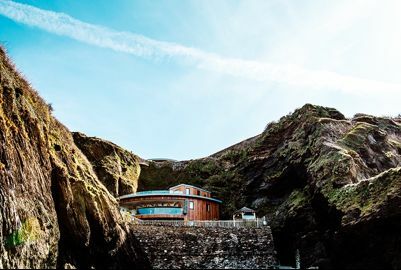 Tunnels Beaches is a uniquely designed coastal wedding venue – accessed via a hand carved tunnel through the cliff and with its own private beach! This unique and stunning location is an ideal venue for your special day – beautiful scenery, private secluded beaches with spectacular sunsets and offering a relaxed, informal and friendly atmosphere. Our rugged coastline make for a dramatic backdrop and awesome photos! VW Wedding Guest Shuttle. It couldn't be simpler to plan your special day with us! • • Stress-free, weather proof facilities - see our website for AMAZING TESTIMONIALS!!! • • Shortlisted for the 'Best Coastal Wedding Venue' Award in 2016! 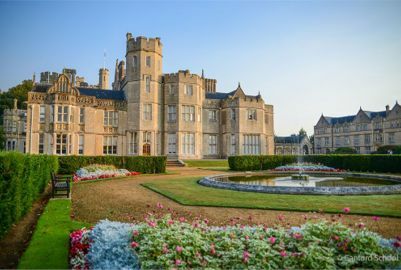 With its ancient, graceful buildings set among 250 acres of landscaped grounds in the beautiful county of Dorset, Canford offers a stunning venue for your entire wedding. 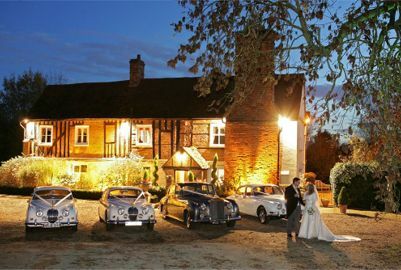 Tracing its origins to the Domesday Book, the Grade 1 listed Manor House offers a unique setting for your civil ceremony while the 14th century Norman church provides the option of a religious service. For your reception, choose the baronial Great Hall, with its sweeping staircase and minstrels’ gallery where the Prince of Wales once danced after a shooting party, or perhaps the more intimate splendour of the Long Gallery. With exclusive use of the grounds for your wedding day, there is the option of an outdoor reception by the fountain on the Sunken Lawn with views to the arboretum and parkland beyond. Your wedding will be tailored to you. Our catering is in-house and our Michelin-trained chefs will work with you to create your bespoke menu. From there, you can make use of our extensive knowledge and network of local professionals or choose your own suppliers. Our aim is simply to create your perfect day. We at the Wycombe Swan understand that your wedding day is the most exciting and special day of your life. Our professional event coordinators will help you plan and create your wedding so that every aspect is perfect for you. 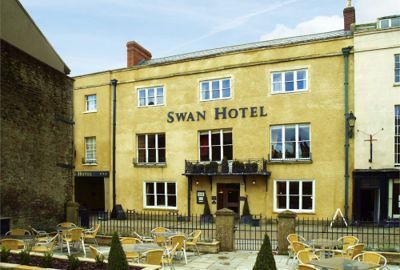 Wycombe Swan is ideal for weddings of all sizes, whether it is a small and intimate service or a larger event that you are looking for. We have a range of packages designed to take the stress out of planning your wedding. You can choose to hold your ceremony with us or just your reception and evening entertainment, we offer flexibility to accommodate your needs. 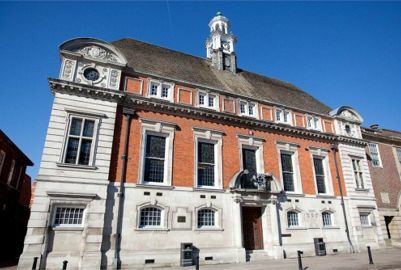 Both the Town Hall and the Oak Room are licensed for civil ceremonies. Most importantly though, we have a dedicated events team who will advise and give guidance right up until you leave us to set off on your life together as a married couple. We would be delighted to arrange a personal appointment to show you around the venues and discuss your particular requirements in detail. A new and unique wedding venue within the South Downs National Park situated in 900 acres of private land. Holywell is a truly magical setting. With breath taking views across unspoilt parklands, Holywell has several excusive venue options to suit your special day. The rose garden is ideal for more intimate parties, complete with a fully equipped summer house kitchen. There is also the option of a marquee majestically placed in front of the manor house, with sweeping views over the ancient woodland avenue. Here, you are not limited to numbers. At Holywell, everything is bespoke to your day, including support and guidance throughout the planning. With a consolidated and trusted suppliers list in place, as well as a host of nearby hotels, Holywell offers a truly incredible experience. We have an extensive list of preferred marque and catering suppliers who will ensure your event runs seamlessly from start to finish. 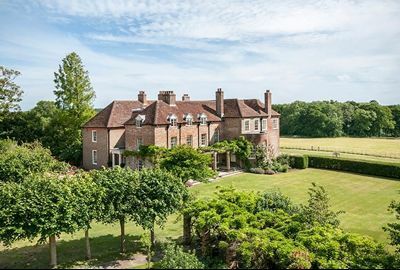 The Manor of ‘Newlanda’ belonged to King Harold before the Norman conquest, and was the only land-holding in Roxwell specifically listed in the Domesday Book of 1086. It was so named because it was created out of untamed forest on ‘newly won land’. The land was held by Eustace, Earl of Boulogne. At the beginning of the 13th century Newland was held by Ralph de la Neweland, and for the next two centuries it remained in the hands of his descendants.The first reference to Newland Hall (rather than just Newland) was made in 1447. Original records exist for Manor Courts held at Newland Hall from 1448 onwards. There is strong evidence that Newland Hall was one of the places of retirement for the lascivious King Henry VIII. After the ceremony you may wish to enjoy reception drinks and canapés on the lawn whilst listening to a string quartet before receiving your guests for the Wedding Breakfast. Due to exclusive use, all of the above options will be available to you. There is no requirement for you to commit to any particular location for the ceremony when you book your wedding with us. You can alter your ceremony plans any time – right up to the last minute! We will, of course, ensure that contingency arrangements are in place in case of unsuitable weather. Please contact us for a personalised detaiuled emailed quotation based on your expected numbers. • 100% Guaranteed Exclusive use available of the house, gardens and marquee. • Stylish, full of character, and steeped in history. Listed in the Domesday Book of 1086. • Please contact us for a detailed emailed quotation. We can accommodate dining up to 400 guests in the ballroom, with evening parties up to 500. Friarmere will accommodate dining up to 60 and evening party up to 150, each suite with an amazing built-in sound system and light show. We are licensed for civil wedding ceremonies - both candlelit indoors or outdoors in our beautiful sandstone gazebo - civil partnerships, renewal of vows and baby naming. A Rolls-Royce motor car is available to ensure you arrive in style. • Family run hotel specialising in weddings since 1964. 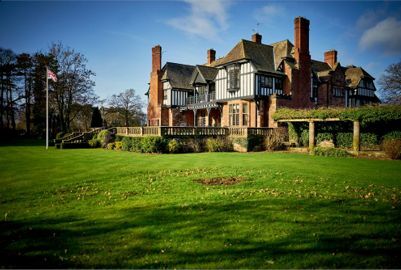 • A unique venue, purpose built to provide all your wedding day requirements. • Taylor made packages including everything you need for a stress free and enjoyable experience. The Isla Gladstone Conservatory is a breath taking venue placed at the heart of the recently restored Stanley Park. 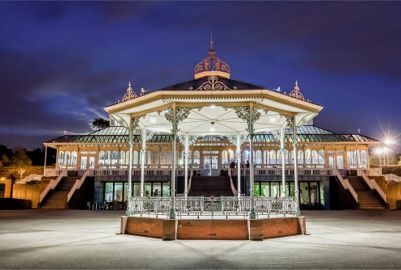 Converted with much care, the Victorian glasshouse nestles amidst picturesque rose gardens, glistening lakes and historic sandstone pavilions. Adjacent to a fairy-tale bandstand, The Isla Gladstone Conservatory truly is a place of wonder and charm. Whilst there, you can’t help but feel as though you have been transported to another time and place. The sun-flooded interior breathes warmth and drama into any occasion, and the well-groomed grounds change with the turning of the seasons. Winter, spring, summer or autumn, midday through to midnight, this enchanting space provides the perfect setting for your dream wedding. Our dedicated and award-winning Events Team are on hand to expertly guide you through your wedding planning journey. With an open ear and an expert eye, they are well-equipped to best advise you along each step of the way. We will listen to you and what it is that you want from your day, and with careful attention to detail, we strive to create a product and a service that is unique to you. With registered premises to administer ceremonies, our team can, in fact, help you to oversee every detail from start to finish. We cater for a variety of requests, needs and requirements. We have been the host to many Asian Weddings, Jewish Weddings and African Weddings. Due to our size and flexibility, we are able to accommodate for a variety of capacities. Our catering staff on site are flexible and happy to accommodate a wide number of cuisines and dietary requirements. Great Fulford is a magical location for a romantic wedding. The house and gardens offer a wide choice of venues for the ceremony. Outside there is the 18th century gothic summerhouse in the dreamy walled flower garden or, alternatively, there is the option of being married under the historic Tudor archway which leads into the courtyard. Internally there are no less than three grand state rooms to choose from. The Ballroom, which boasts a stunning plaster ceiling, the historic Great Hall with its fabulous early 16th century carved panelling, or the Great Parlour. Internally Great Fulford boasts a suite of grand interconnecting entertainment rooms, which gives it an almost unique ability in the South West to host a large party without the expense of a marquee. It also has the great advantage that the thick internal walls can enable loud music to be played in one room while other guest can enjoy normal conversations in adjoining rooms without having to raise their voices. 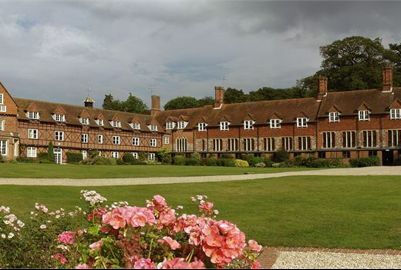 Bradfield College, set in the idyllic Berkshire countryside, has the capacity to welcome 40-250 wedding guests. 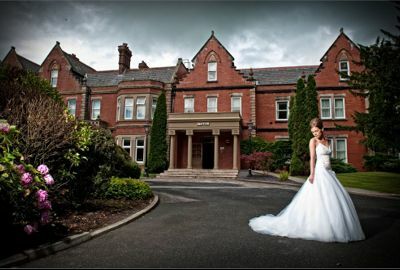 Our fantastic service and superb setting make us one of the best wedding locations in the area. Our civil ceremony licence enables couples to get married here on site in a variety of rooms. The stunning architecture and picturesque grounds make the ideal backdrop for your wedding photographs. Our caterers take great pride in delivering an excellent service and boast a broad choice of culinary options to suit a wide range of requirements. Guests can enjoy a drinks reception in the elegant setting of the Quad, before entering either the beautiful Dining Hall for an exceptional wedding breakfast. We offer an experienced wedding organiser as part of our service, to help you plan a perfect and memorable day. Dyrham Park Country Club is quite simply the most exquisite of wedding venues in Hertfordshire. Dyrham Park is ideally situated for weddings - being close to Central London and the junction of the M25 and A1 - but surrounded by beautiful countryside. 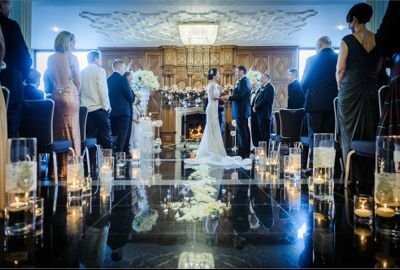 With its stunning clubhouse, excellent food, sumptuous function rooms, superb grounds and extensive car parking, it is the perfect Hertfordshire wedding venue. The unique Grand Hall with its Minstrel's Gallery and the immaculate grounds make Dyrham Park the ideal venue to celebrate a wedding at any time of the year. In addition, the perfect lawns and magnificent trees turn dream wedding photos into reality. 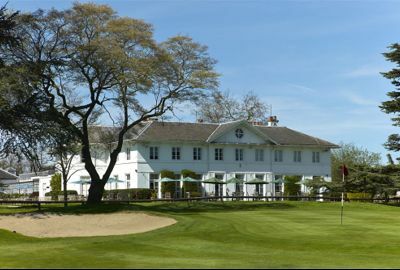 Dyrham Park Country Club is an approved Hertfordshire wedding venue for couples to hold their Civil Marriage Ceremony. Each ceremony is personalised and tailor-made to each couple's requirements ensuring that dreams are turned into reality. When it comes to Hertfordshire weddings, Dyrham Park promises to impress.